We are an award winning, family owned business brining you a top shelf, boutique experience. We are proud of our highly productive, full service agents, who consistently put our clients first. In today’s real estate market, sellers want choices and to be involved at some level. We introduced the “You Choose” commission model and it has been extremely well received. Not every property is the same, not every situation is the same…and our flexible plans allow us to do what is best for YOU! Which is how it should be! From our award winning Professional Photographer, to our Social Media Guru, we have developed the secret sauce to attracting buyers to your home. The more buyers who view your home, the greater the chances of receiving the best possible offer. And really – isn’t that what you want? Finding the right property can sometimes be a daunting task. Our Agents engage with Buyers throughout the process to ensure you have all the right information, have carefully considered your options and we help you make the best choice possible. After one year…for whatever reason…you feel like you made the wrong choice, we will sell your house for free and find you a new one – no problem! Buying or Selling – you want to feel like your Agent is doing the best job possible for you. Look no further. 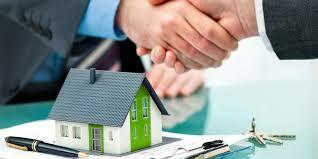 Our agents are highly skilled to negotiate the best price. Every deal is different and while we negotiate real estate transactions every day…you probably don’t! We keepyou informed, involved and aware of the possible outcomes of your choices. It’s the way we create repeat clients and raving fans! We would like to do the same for you! In a small boutique, you do not get lost in the chaos! We know your name, we concentrate on what is important to you, and we get the job done. When you combine our local “horsepower” with the Coldwell Banker brand who have an even more powerful recipe for success. Coldwell Banker is known for creating innovative consumer services. They are by far, a leader in technology, internet services, niche markets and luxury properties. The brand helps arm us to deliver exceptional experiences for all clients we serve. Established in 1906, Coldwell Banker is the oldest Real Estate franchise and remains a leader in full-service real estate. With a global network of over 3000 offices in 47 countries and 200 offices in Canada – why wouldn’t YOUwant to harness that kind of brand power? We sure do!